To add a Resource shortcut to the Navigation Menu, go to Admin > Templates and then to the Navigation Bar section. By clicking on Add+, you will be prompted with an Update Menu pop-up box. 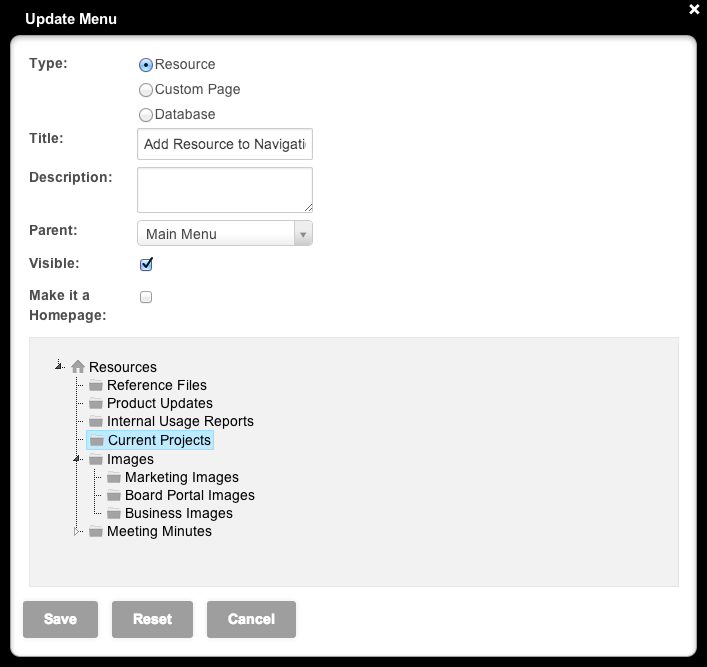 Select Resource from the menu source options and then click on the desired Resource Folder in the folder tree.